Easily over $200. One of the most expensive soccer boots right now. More than Nike Superfly. This is my email adress cristianrus08@gmail.com . Ive owned to pairs of these cleats there amazing but both pairs i owned crack across the bottom where the carbon fiber is in less than a month. i wouldnt recommend them. why would i pay 400 for these when puma has 5.3 ounces shoes way cheaper. The Nike air max 90 shoes and Nike jordan 11 are designed to bring comfort and performance together. jordan 11 sale is very good . Nike is known for using top-of-the-line materials to create balance and function for many different sports. Nike offers a large variety of air max shoes including styles for running basketball and training. The free run 2 running shoes is essentially a training device that will appeal to anyone that wants to strenghten his/her feet and activate more of the muscles in that area. Nike free run 2 shoes is a pair of shoes that will do more for you not just during training, but even when you've got them on to run a few errands Nike also offers varieties of footboots including Nike Mercurial Vapor. 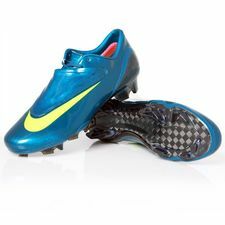 Nike Mercurial Vapor Superfly 3. There were a number of your blogs that I missed and I just needed to be sure I did not miss anything important. I see one that spoke of http://termpaperservicesreviews.blogspot.com/ as a good spot for knowing which sites to pick while choosing the right paper writing service.